Quiver trees (Aloe dichotoma). These trees are eaten by kudu antelopes as they contain a chemical that acts as a parasite repellent when absorbed into the bloodstream. 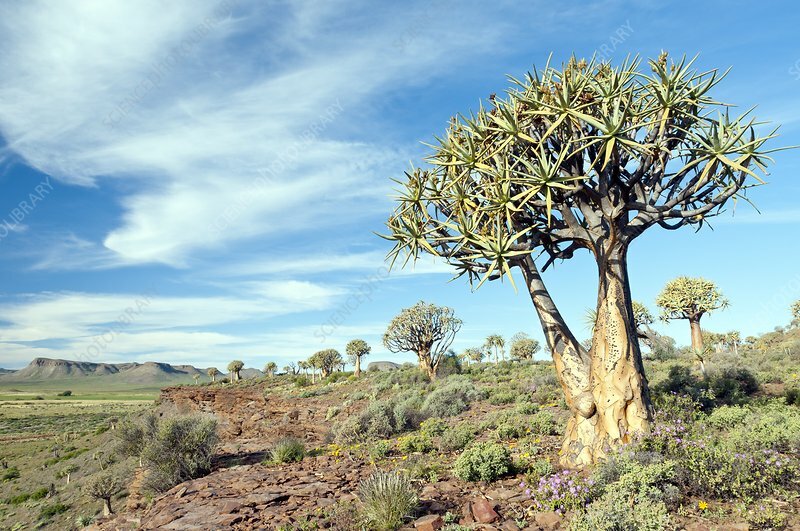 The quiver tree takes its name from the bushmen's custom of hollowing out its branches to use as quivers for carrying their arrows. Photographed in Nieuwoudtville, Northern Cape, South Africa.